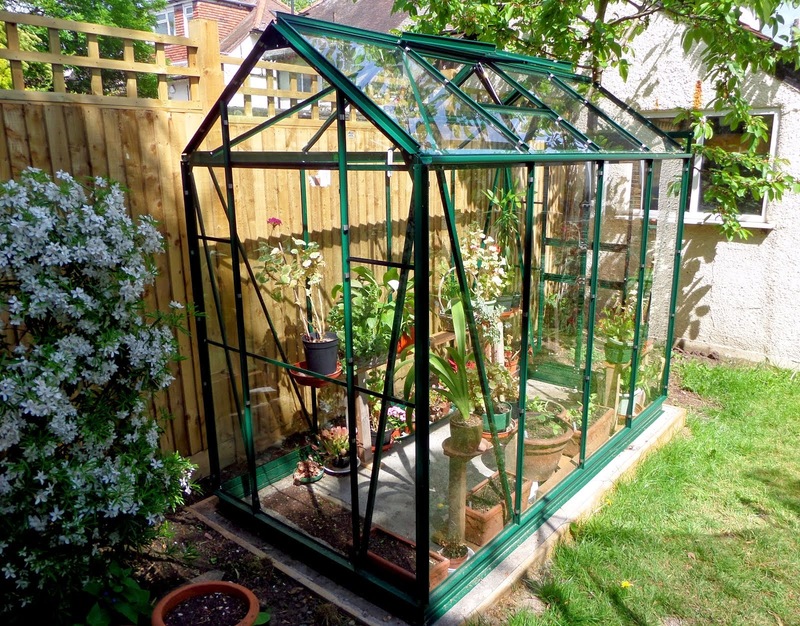 The transparent shed: Where's that greenhouse effect? I know that conditions in a greenhouse in South West London in early May aren't exactly like the tropical rainforest. But I thought my new greenhouse might at least grow things as well as they grow on the window-sill in the kitchen. Not so far. Here is my first crop, started on the window-sill and about to graduate to the greenhouse. They're a collection of seeds that came in a gift pack, called - a little too cutely - "Psychedelic Salad": unusual coloured beetroot, cucumbers etc. The lettuces have all been eaten by something, the spring onions look anorexic, and the beetroot and radishes are all over the place. There's no sign of the rest of these packets, which I planted in the greenhouse. I've always believed in the greenhouse effect, but in my garden, it seems a bit of a myth.